This desire was bolstered in November 1963 when, at 16, I had the opportunity to meet President and Mrs. Kennedy when they were in San Antonio for the dedication of the aerospace medicine facility at Brooks Air Force Base. A shaking teenager shook Kennedy's hand and squeakingly declared that when I could, I was going to join the Peace Corps. He replied that he was happy I was going to do so, and I moved off in a daze. As we all know, the next day he was killed in Dallas. Douglas Hall works with university students in Ukraine. As usually happens, life interfered with my dream and it was not until I was 66, nearly 50 years later, that I was able to realize it. I retired from being a college professor of computer science, sold everything I owned that family and friends did not want, donated a lot to charity and joined the Peace Corps. My first assignment was in Guyana in South America, serving with a regional education office promoting literacy and science. My two-year service turned into three. As I began looking for my next adventure, a position in TEFL (Teaching English as a Foreign Language) came available in Ukraine. I had been interested in Eastern Europe since high school, even having a pen pal from the Soviet Union, so I applied. I was asked by Peace Corps staff in Ukraine if I knew that the weather there was very different from that of Guyana (where it is 80 degrees year-round). I assured them I did and was accepted. Doug Hall with students at a NASA Hackathon. I was assigned to a university in a beautiful port city rich in history and culture on the northwestern shore of the Black Sea. It is a city in transition from its Russian past to its Ukrainian future. Where the language you speak can be a political statement. But being “the American” allows me to be outside the political tension. I can ask “why” without taking sides. This has allowed me to focus on my interpretation of the Peace Corps goal of “sustainability.” Many Volunteers think of it in terms of large projects, but I think of it as changing the individual. While such projects are good, changing the thoughts and aspirations of the individual young person has been a life-long goal of mine. The youth are our future. Without them, humanity has none. This is especially true in a country such as Ukraine that is in transition from a Soviet-era mentality. It is helping that student in class who is afraid to speak English to become one of the most vocal, listening to students’ ideas when no one else before had, getting students to dream big and follow those dreams, just simply telling a student that I believed they were intelligent and could do their best if they tried. 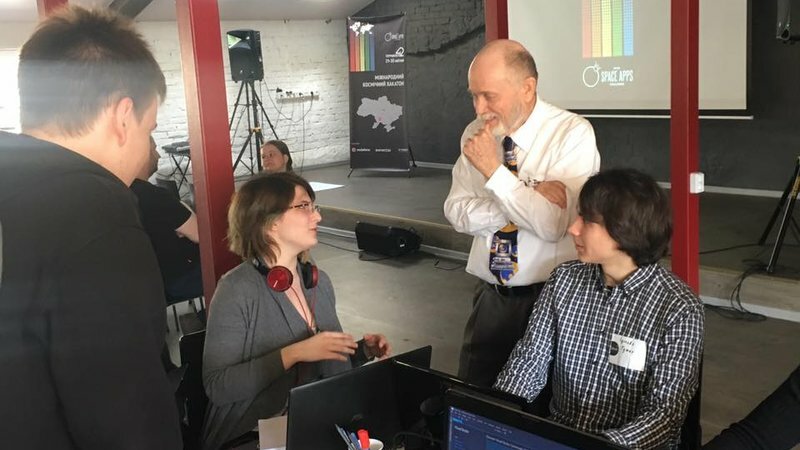 Students I’ve mentored have helped develop an English-Ukrainian-Russian electronic picture dictionary, won first prize in our city for a NASA hackathon, run their own hackathon at the academy – the first being done by students – and applied for programs to study English in the United States. Does it always work? Of course not. But when it does, the changes are amazing, and I know I have touched the future. 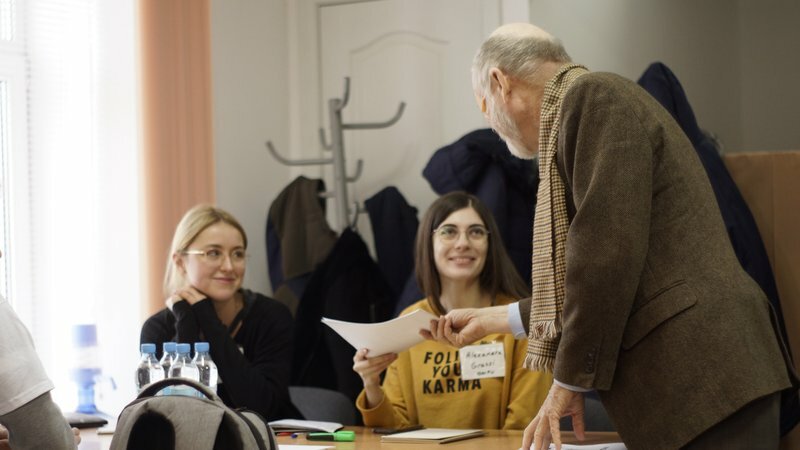 Douglas Lee Hall, Ph.D., is currently serving as a Peace Corps Volunteer in Ukraine Teaching English as a Foreign Language. He previously served in Guyana promoting literacy and science from 2013-2016.